Nowadays most people rely on the cleaning services of the companies which are located in the place where they live. If you want to be sure that you will receive the most professional and qualitative cleaning services, choose Lily’s Cleaners. We are one of the most successful agencies in London that offers high-quality cleaning at affordable prices. 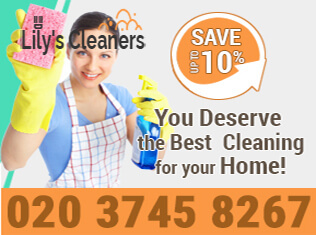 We provide various cleaning services in Wandsworth SW18 and the nearby areas. Use our professional help to maintain the cleanliness of your home, office, rented flat, carpets and furniture. You can choose from the cleaning services which we offer in Wandsworth SW18 and we will add them to your quotation. We provide one off and regular cleaning of ovens, houses, flats and office buildings. Our cleaning technicians can restore the spotless and impeccable condition of your carpets and sofas, removing the dust, allergens, blemishes and obnoxious odours from them. Use our professional cleaning services whenever you need qualitative and fast sanitising of your rooms. Having to do your household and cleaning chores by yourself can be a challenge. If you need help in your daily housekeeping work, use our professional domestic cleaning services at the most competitive prices. They are at your disposal one off and on a regular basis. You can order any of the other cleaning services which we provide in Wandsworth SW18 for keeping your office rooms, kitchen appliances, home and rented property rid of dust and dirt. We will ensure the healthy and hygienic atmosphere which you need in your home, working place, rented house and flat. Copyright © 2019 Lily's Cleaners. All Rights Reserved.